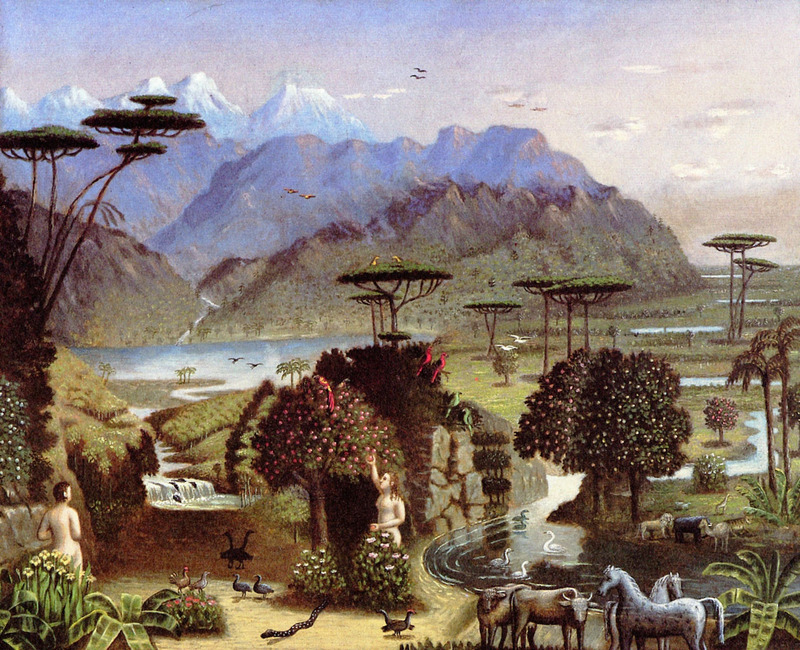 See parts 1-12 also for earlier works. 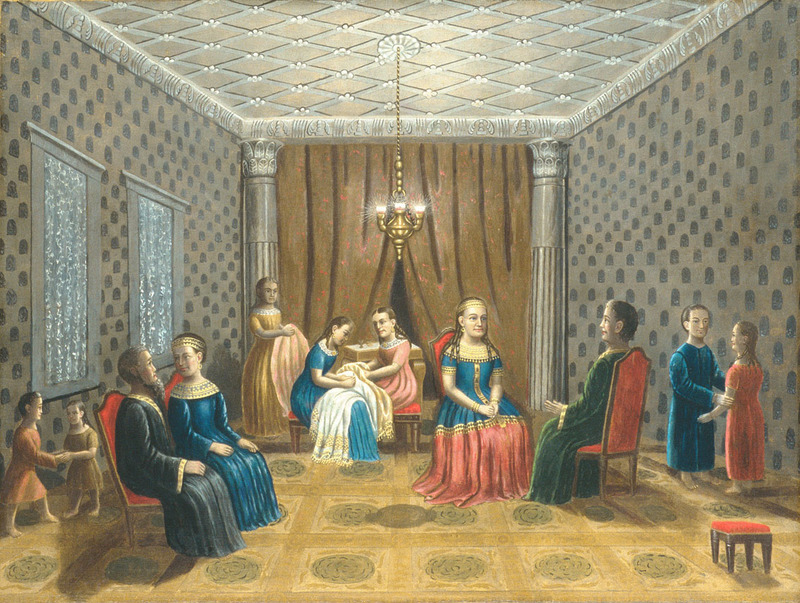 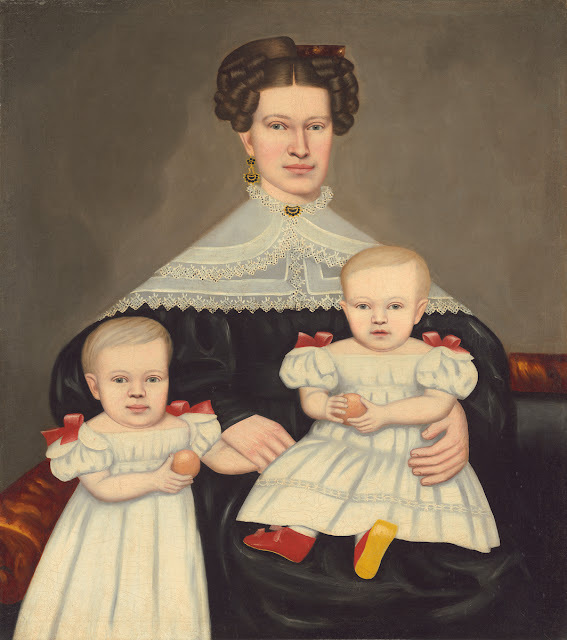 Erastus Salisbury Field and his twin sister, Salome, were born in Leverett, Massachusetts, on 19 May 1805. 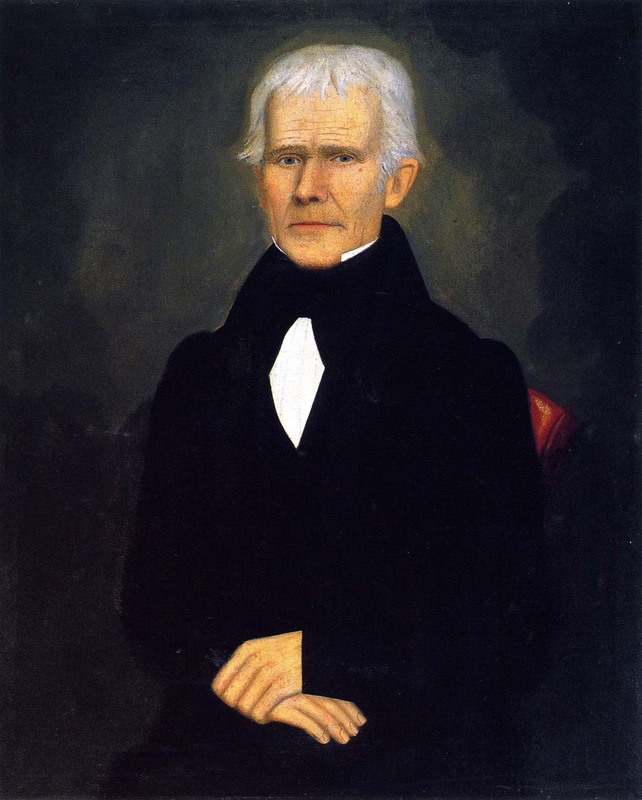 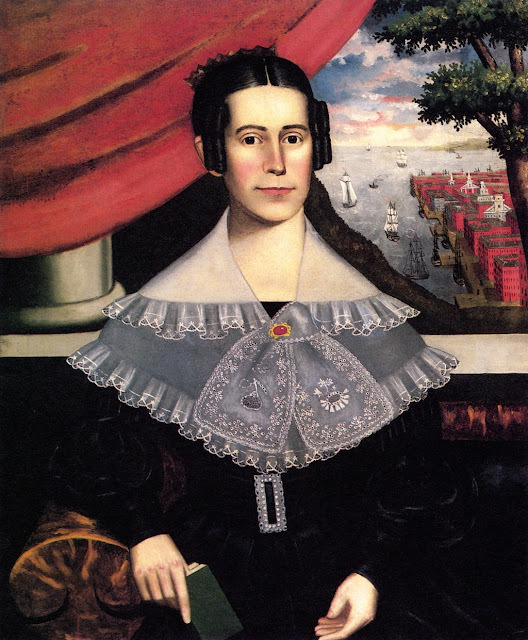 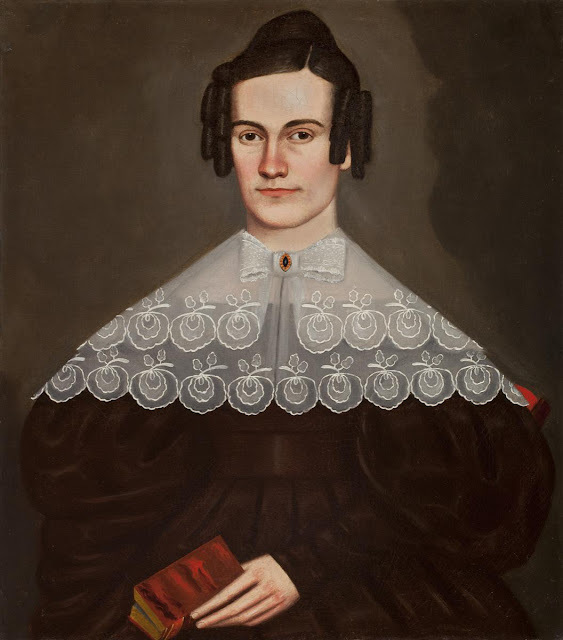 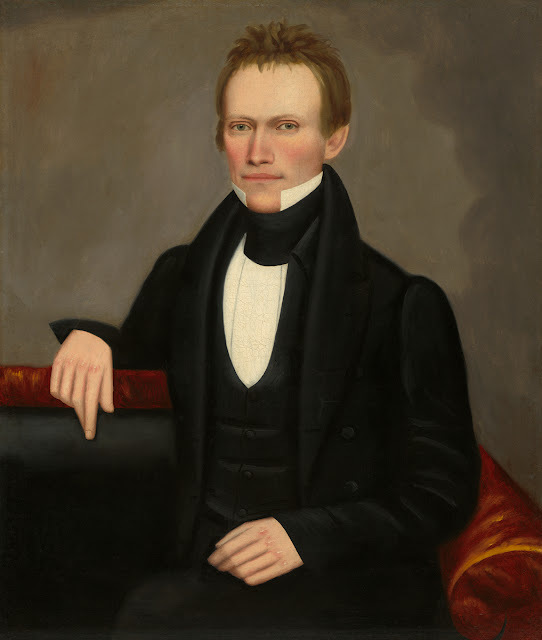 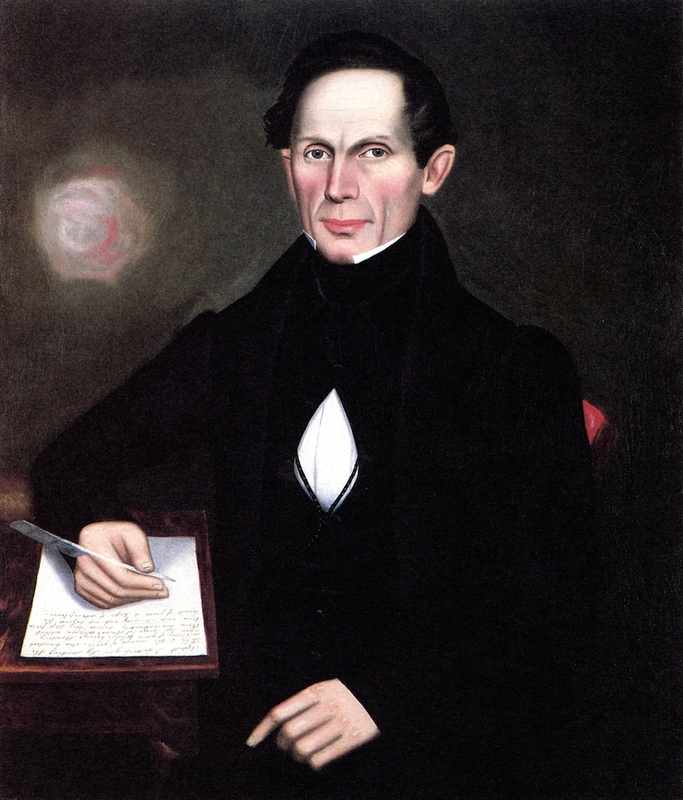 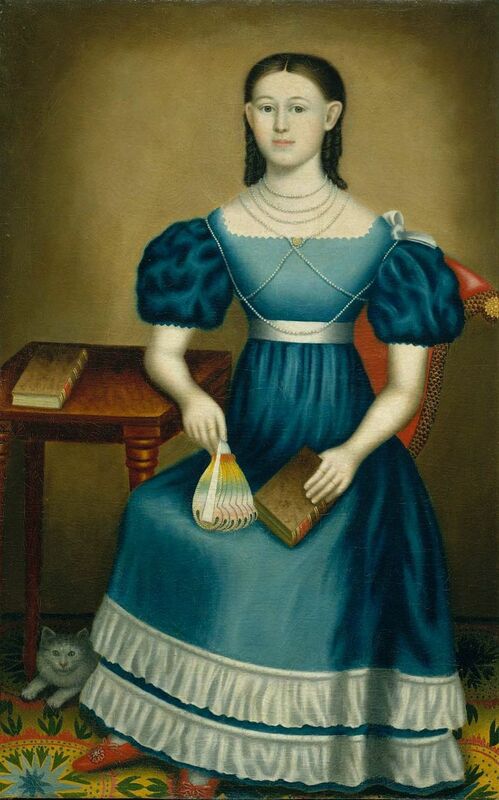 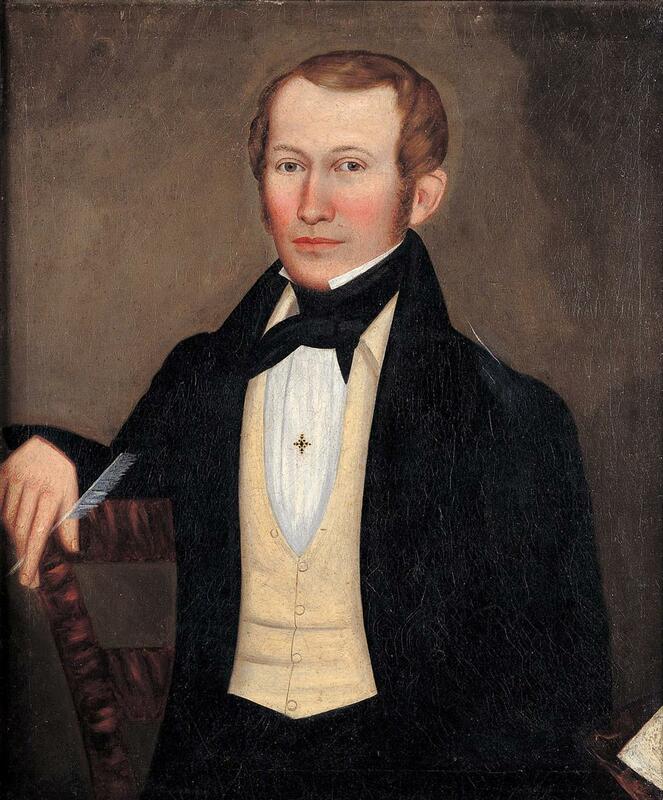 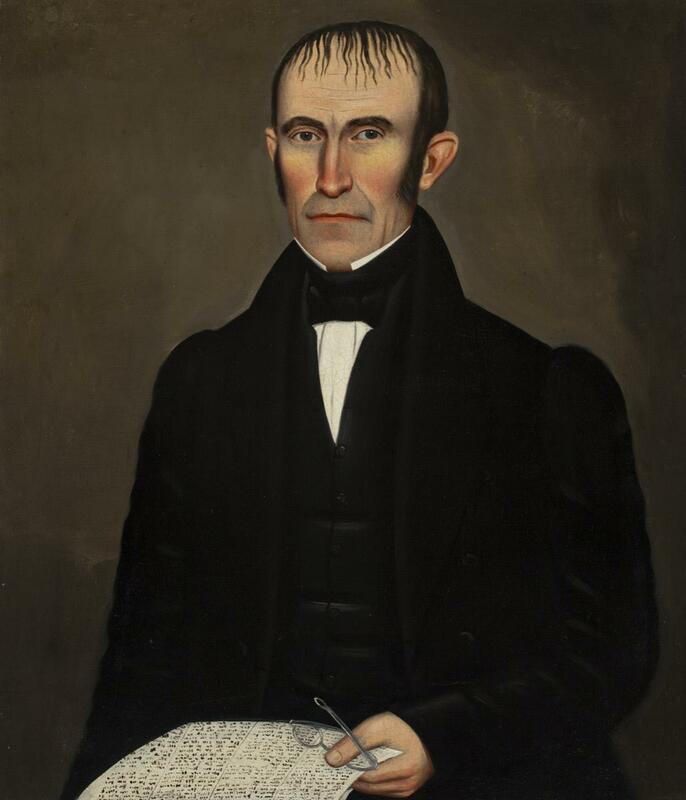 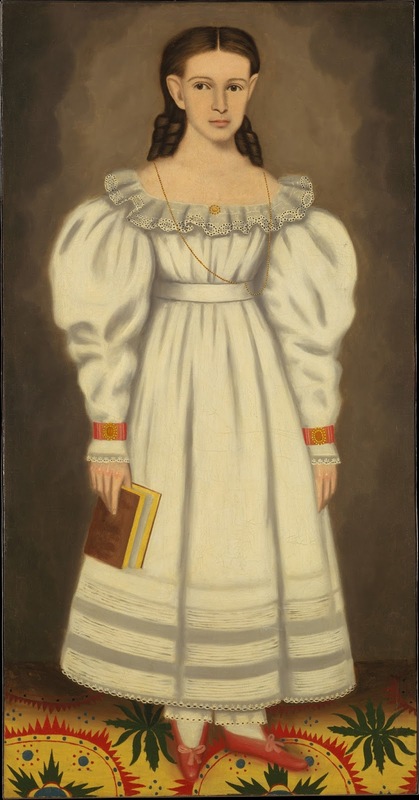 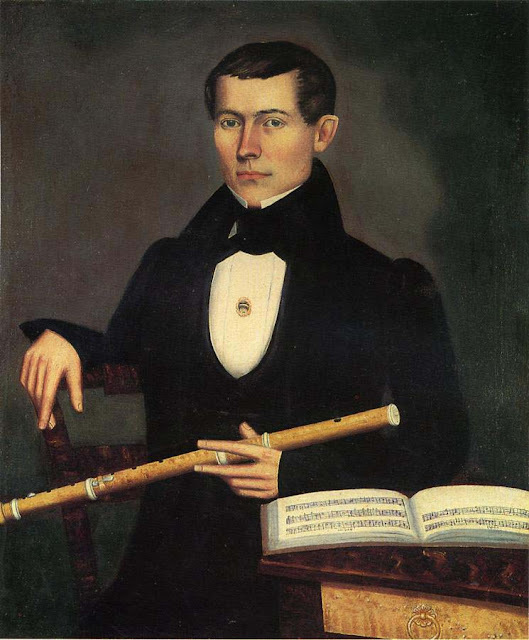 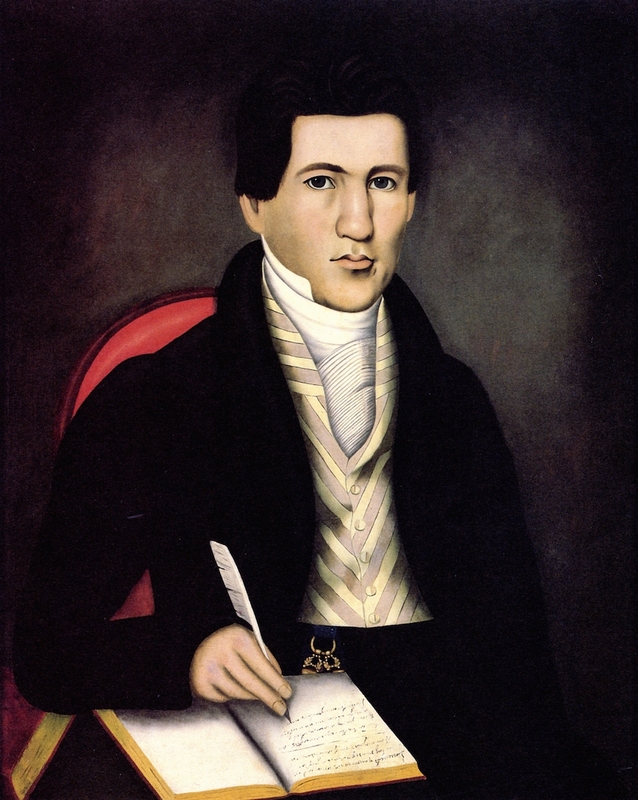 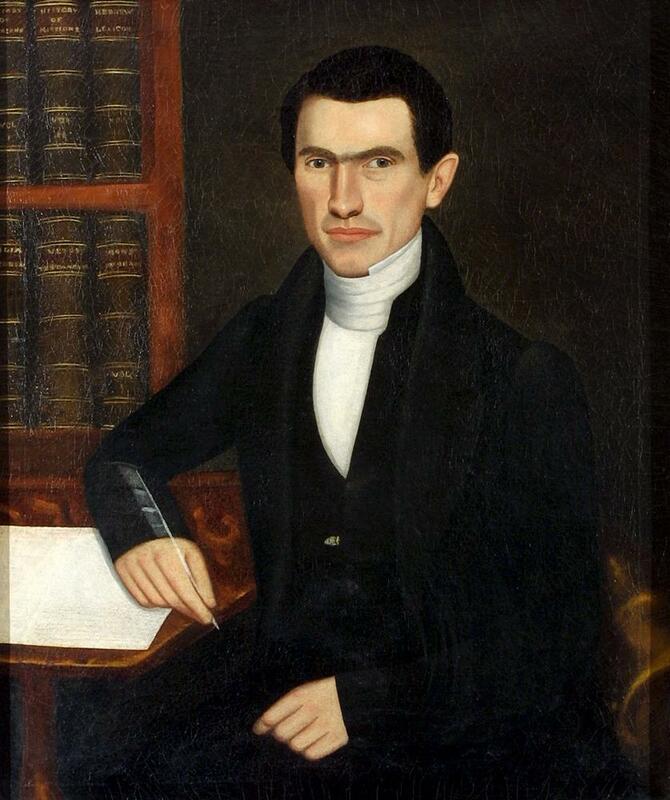 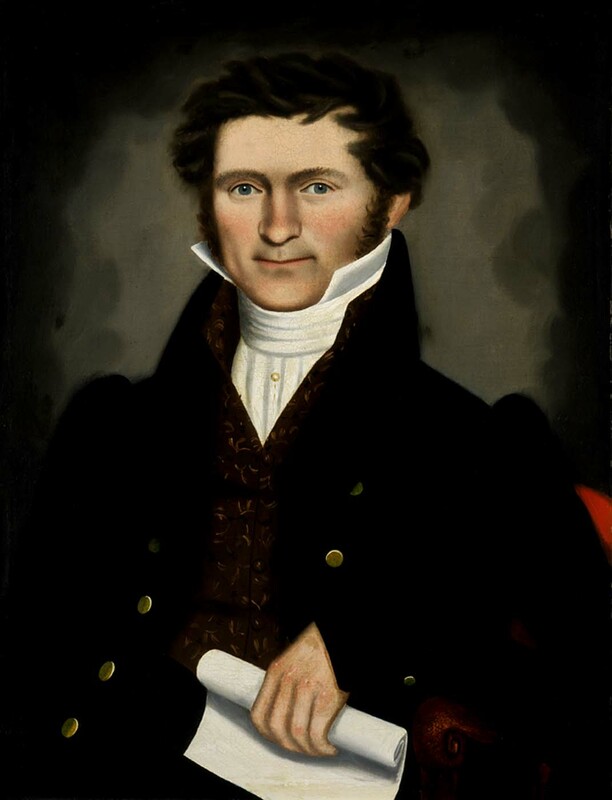 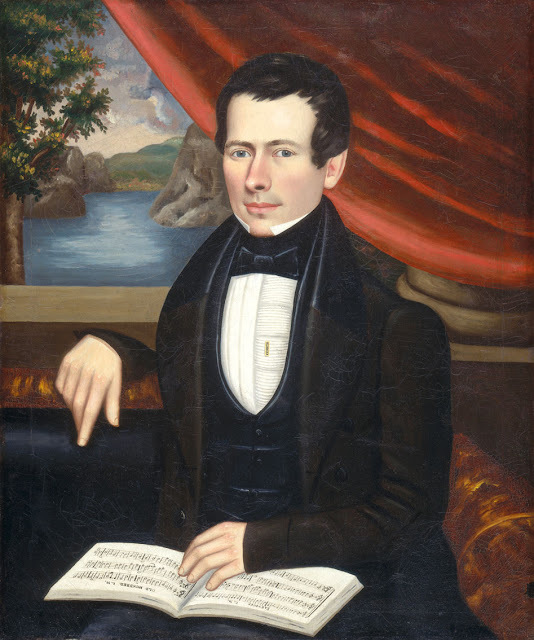 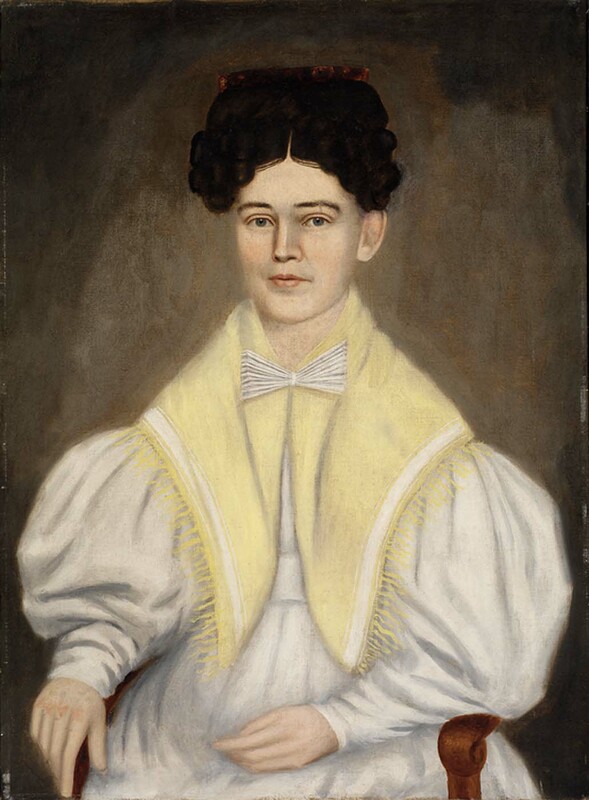 Erastus Field showed an early talent for sketching portraits, and in 1824 the aspiring artist travelled to New York City to study with Samuel F. B. Morse. 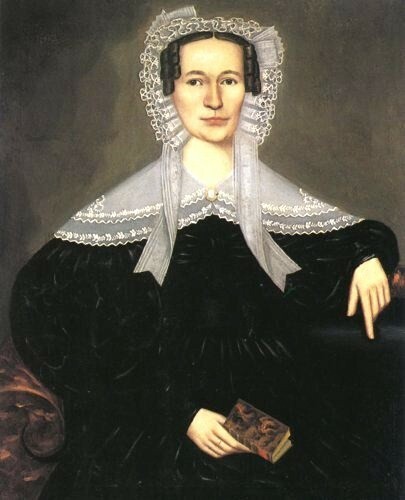 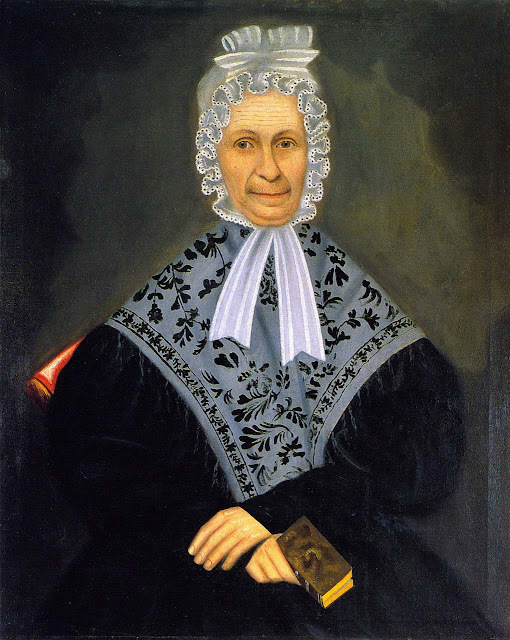 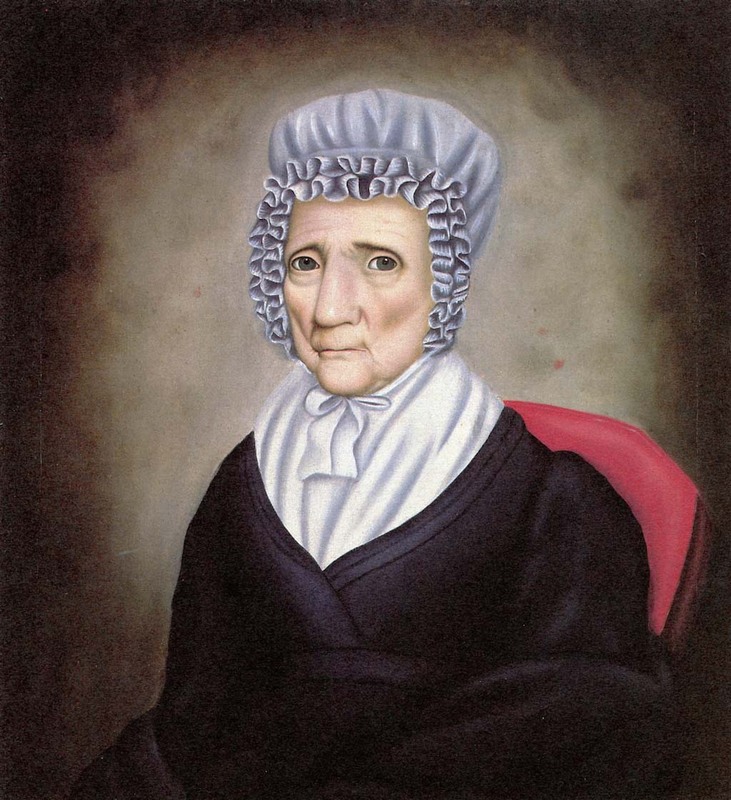 Field's instruction was cut short by the death of Morse's wife in 1825, and it is not evident what Field learned. 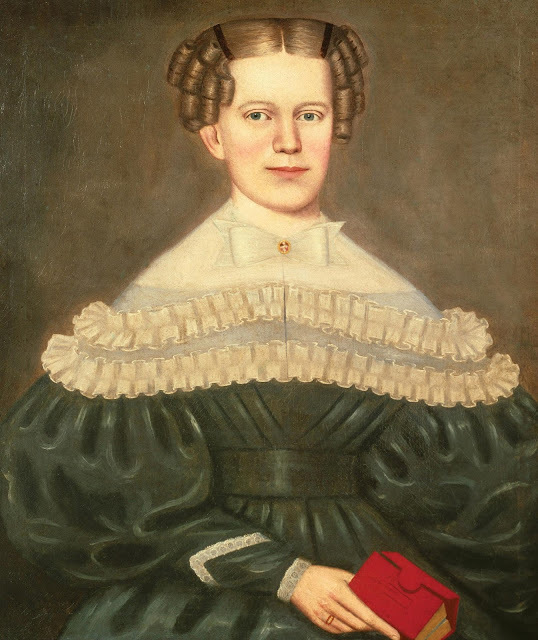 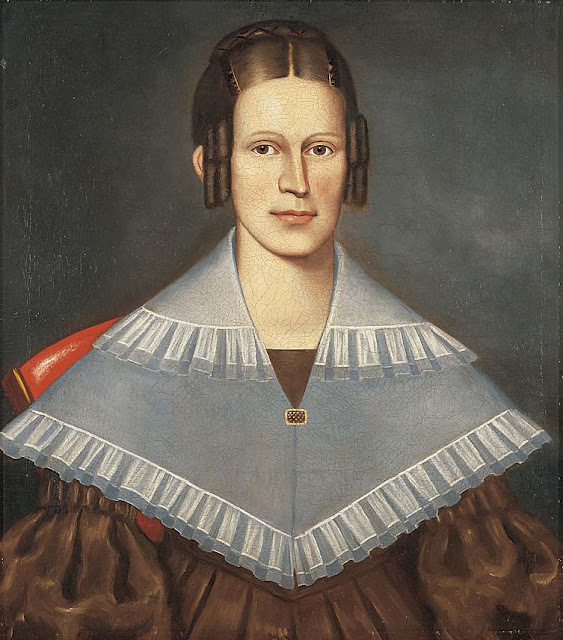 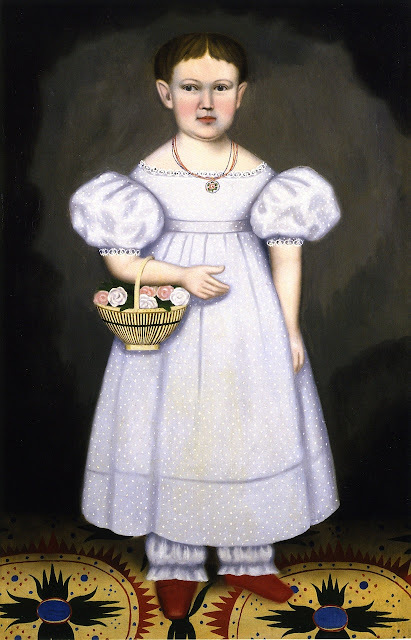 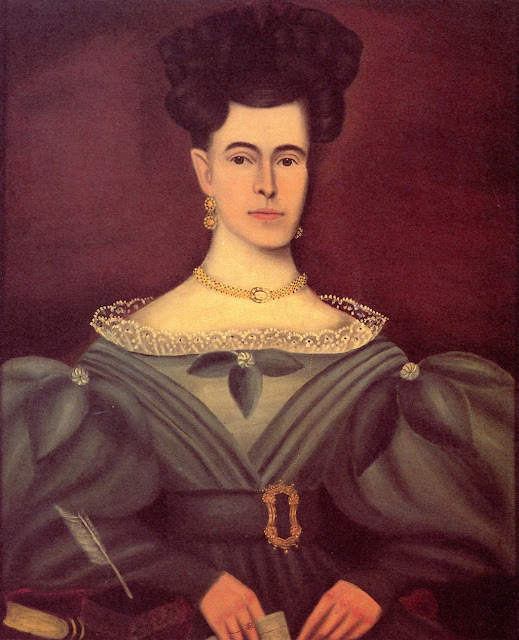 In 1831 he married Phebe Gilmur in Ware, Massachusetts, and their only child was born the next year. 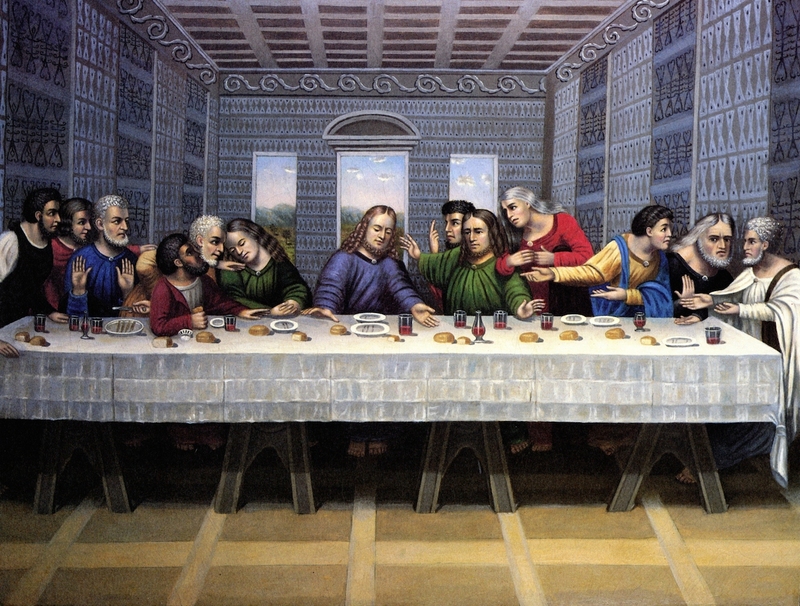 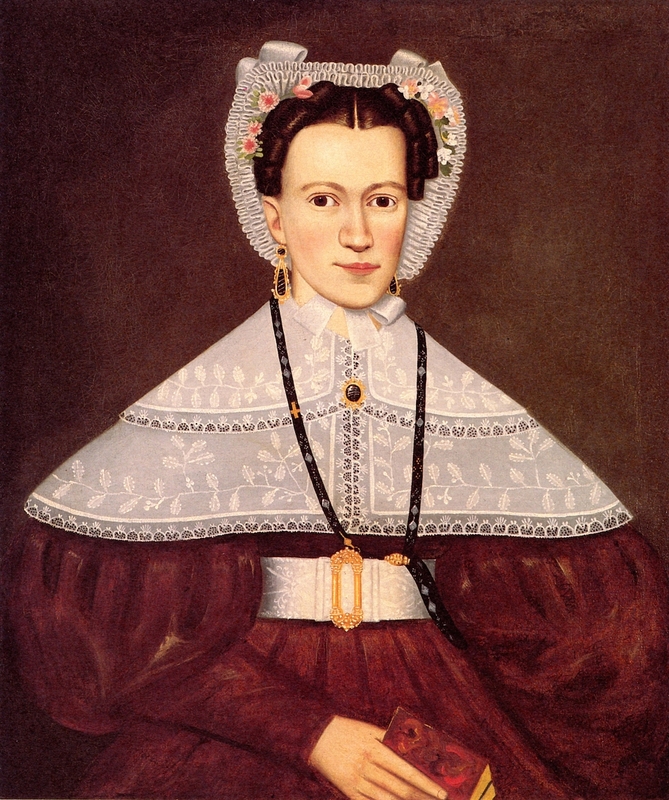 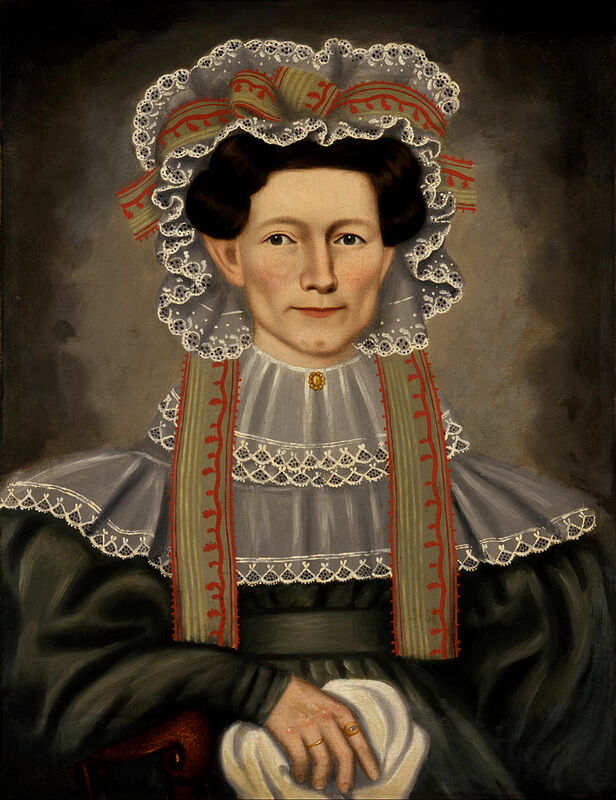 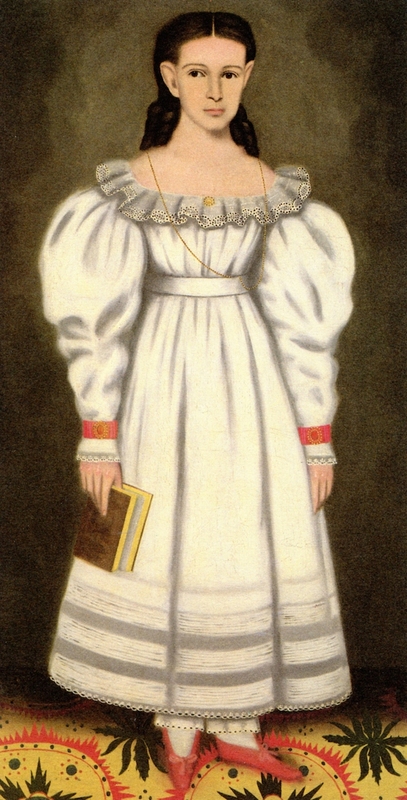 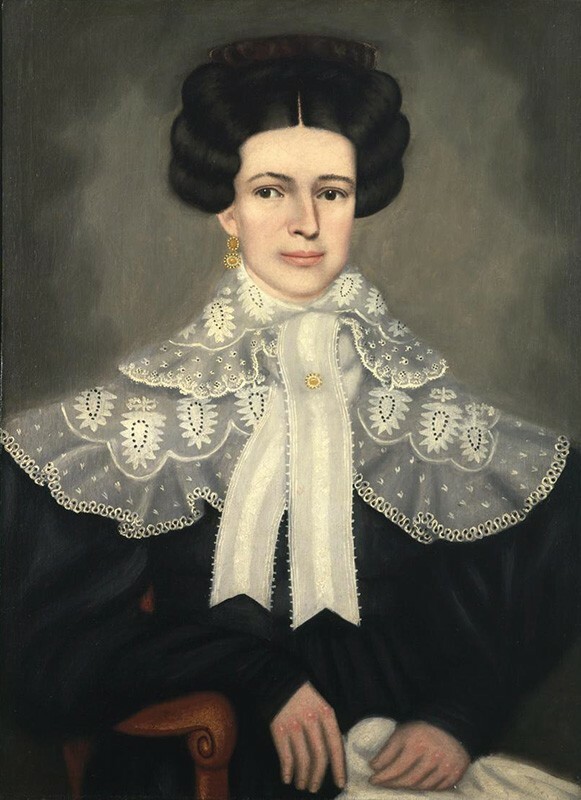 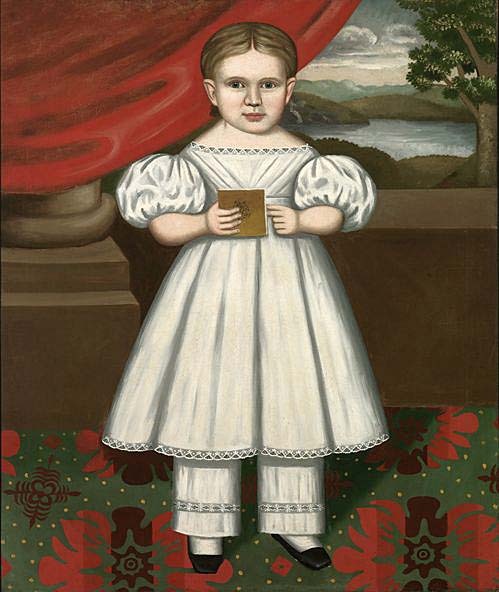 His career apparently prospered during the 1830s, for the artist produced a multitude of rapidly executed portraits, often completed in one day, which commanded fair prices. 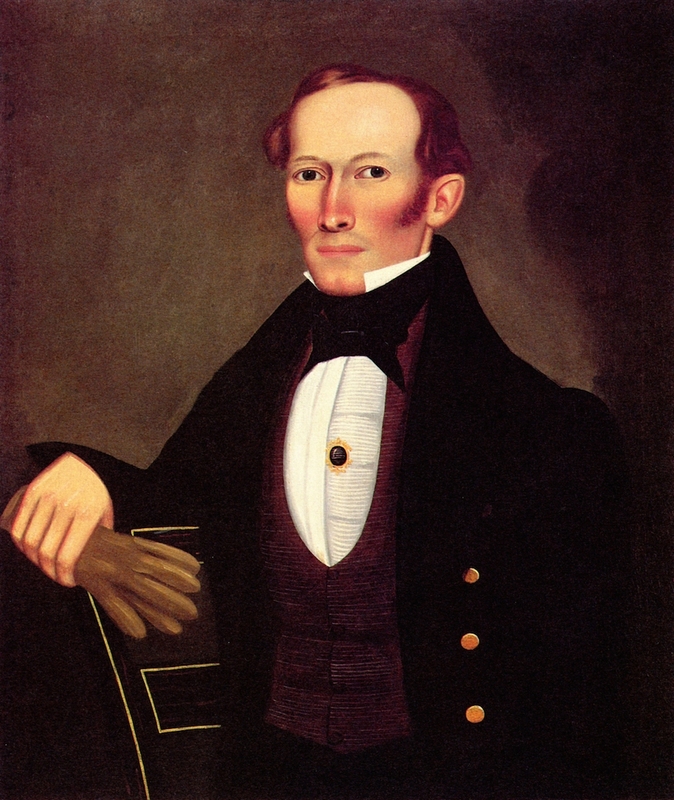 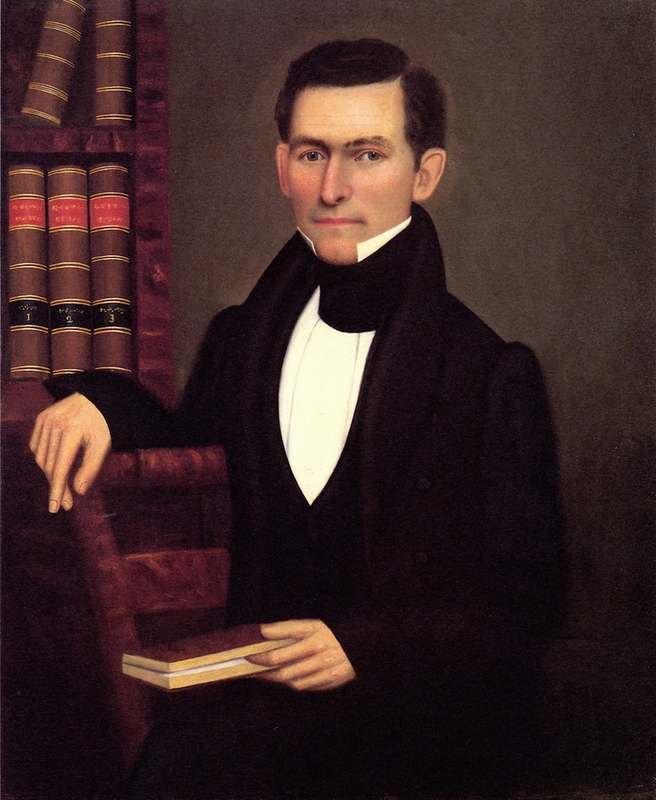 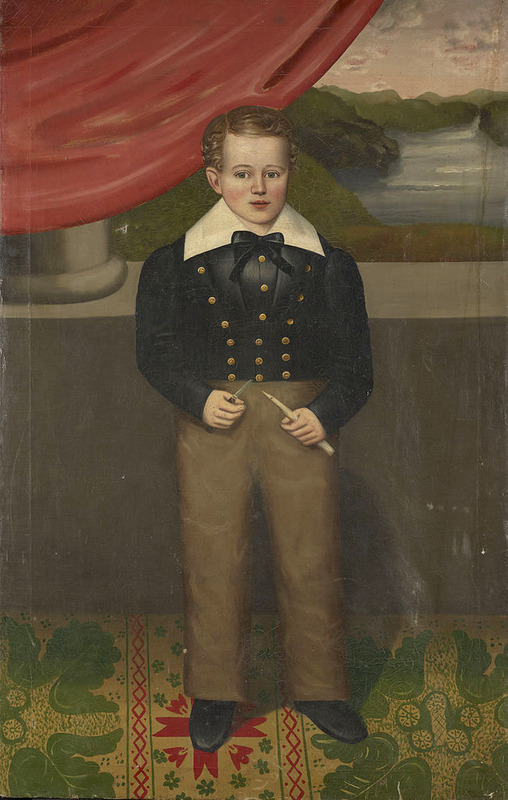 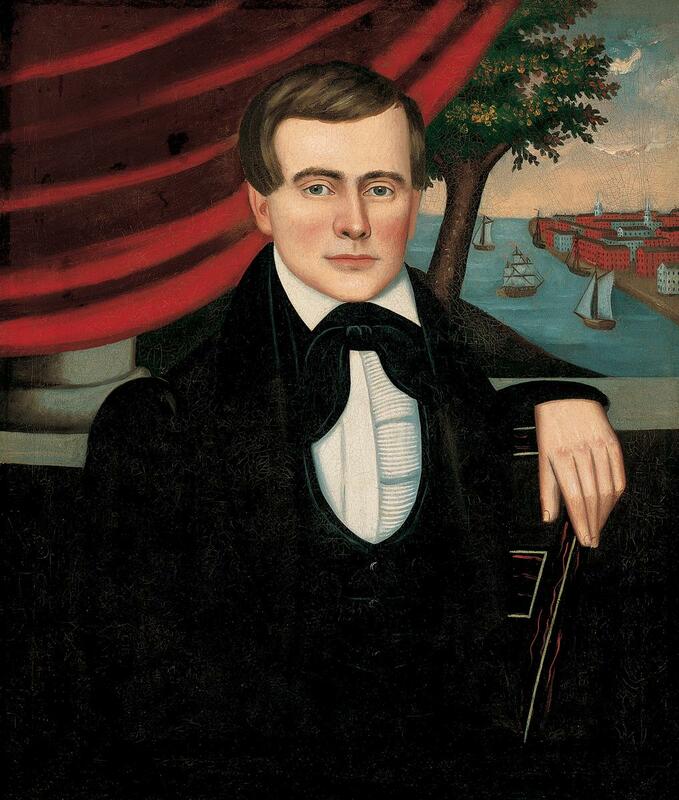 Field's best portraits date from around 1836 - the year he returned to Leverett from Ware - to about 1840. 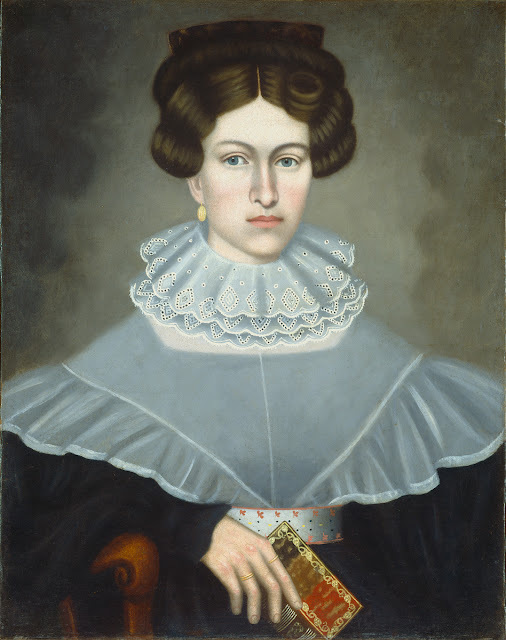 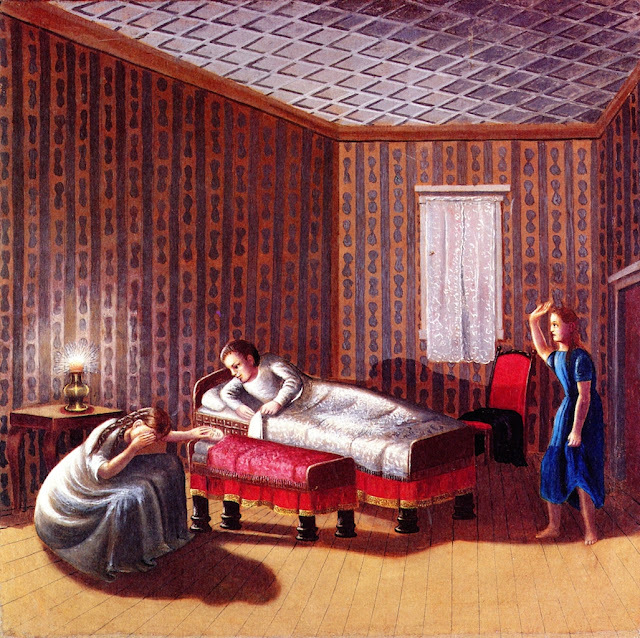 After traveling to Brattleboro, Vermont, in 1839, the artist and his wife moved back to Ware, Massachusetts. By 1841, however, they were in New York City. 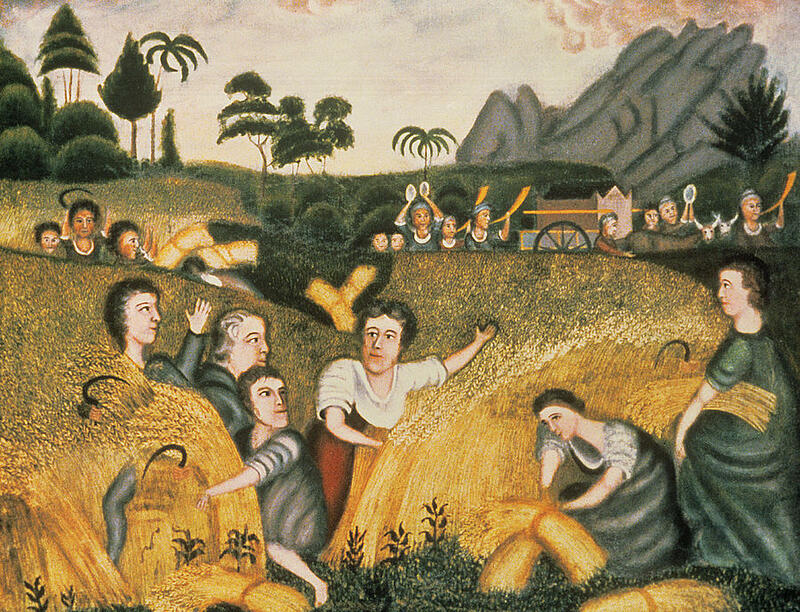 Field remained there for about seven years and exhibited several works. 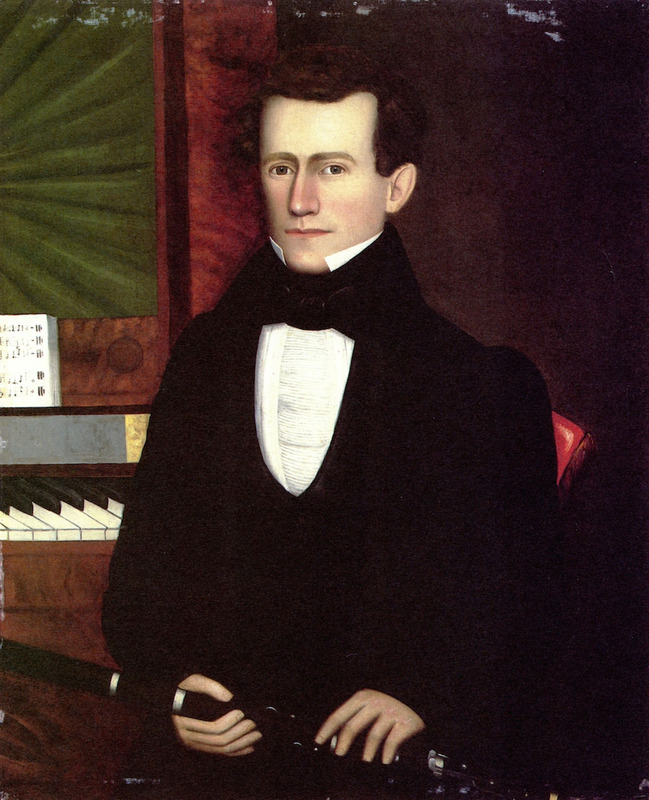 In 1848 he was called home to manage his father's farm in Sunderland, Massachusetts, and a newspaper account reported that he remained there for "some four years in the practice of his art." 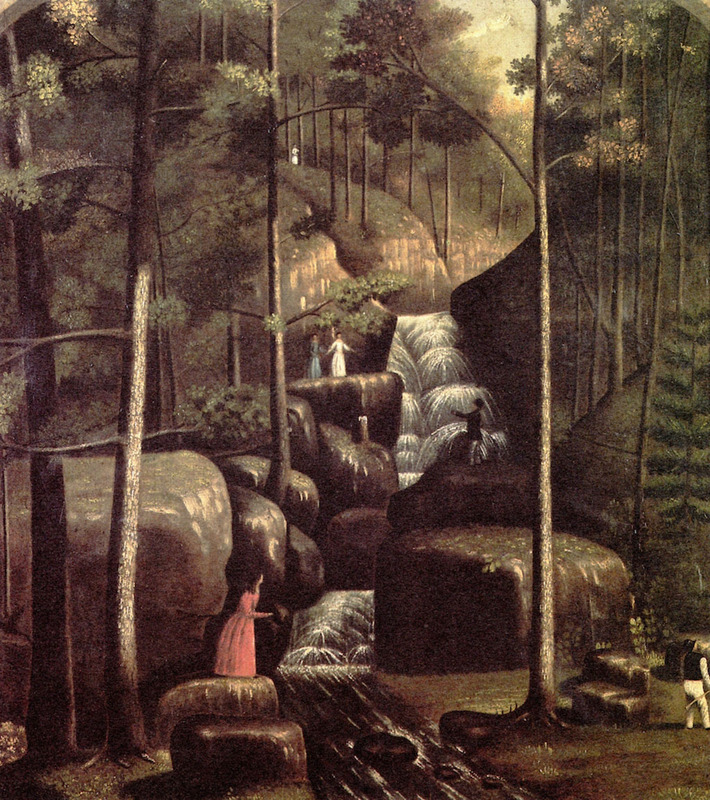 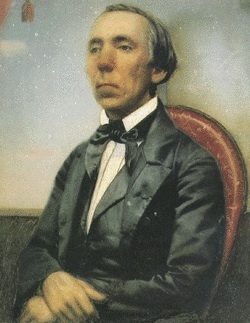 By around 1847 Field had begun executing landscape and history paintings, perhaps because the daguerreotype, introduced in America in 1839, was beginning to replace painted portraits. 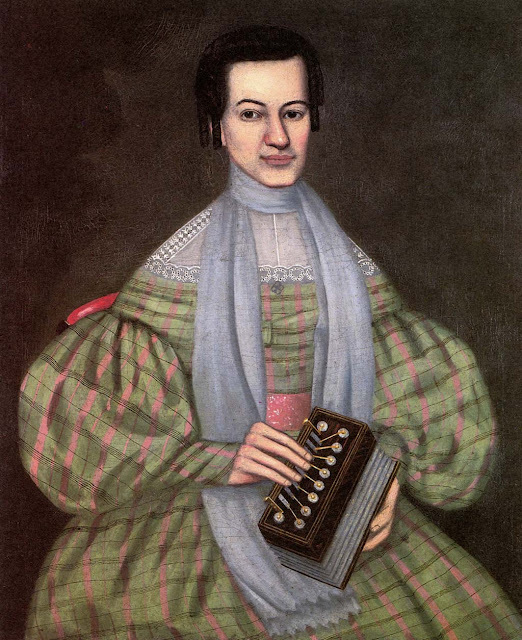 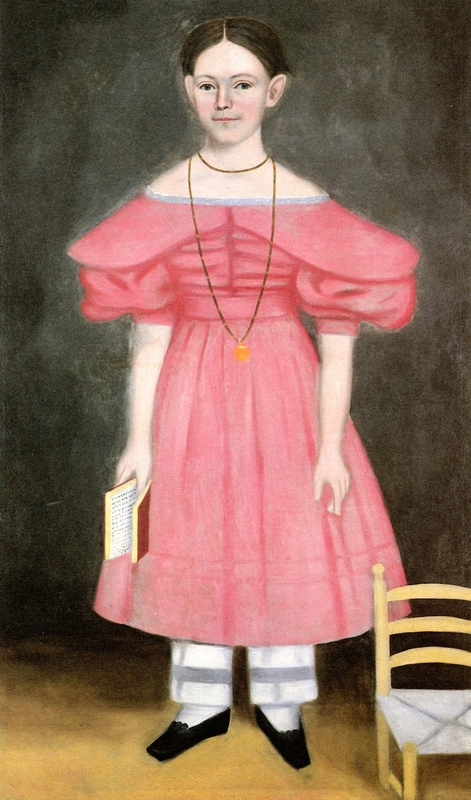 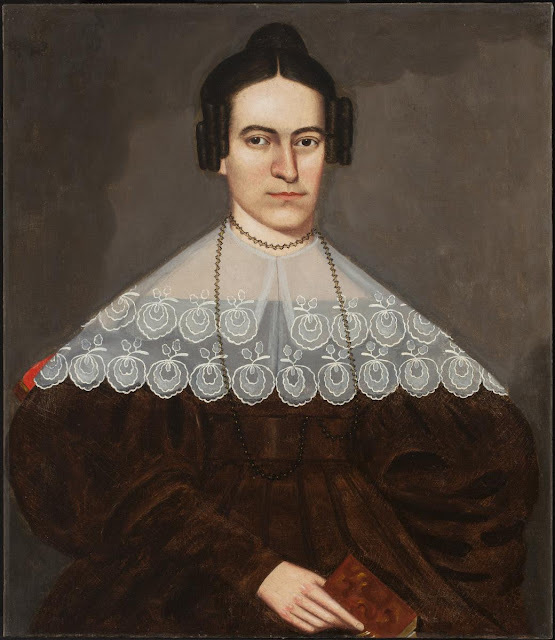 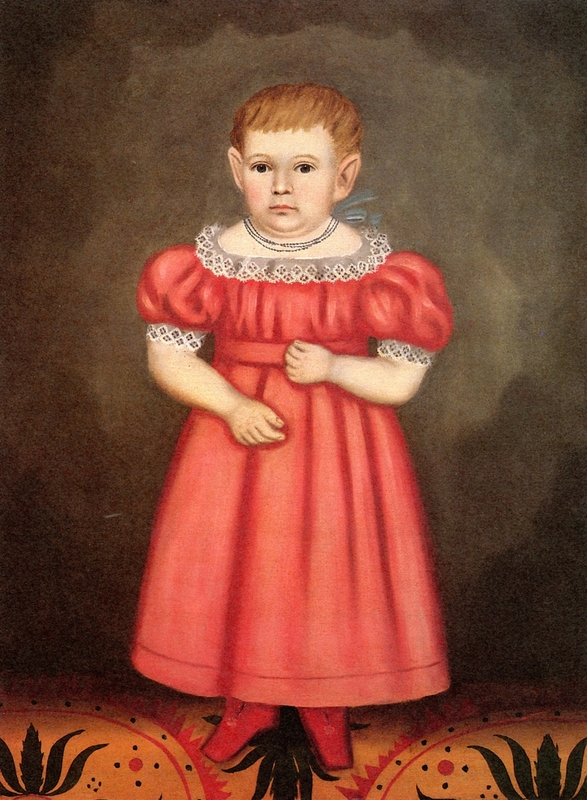 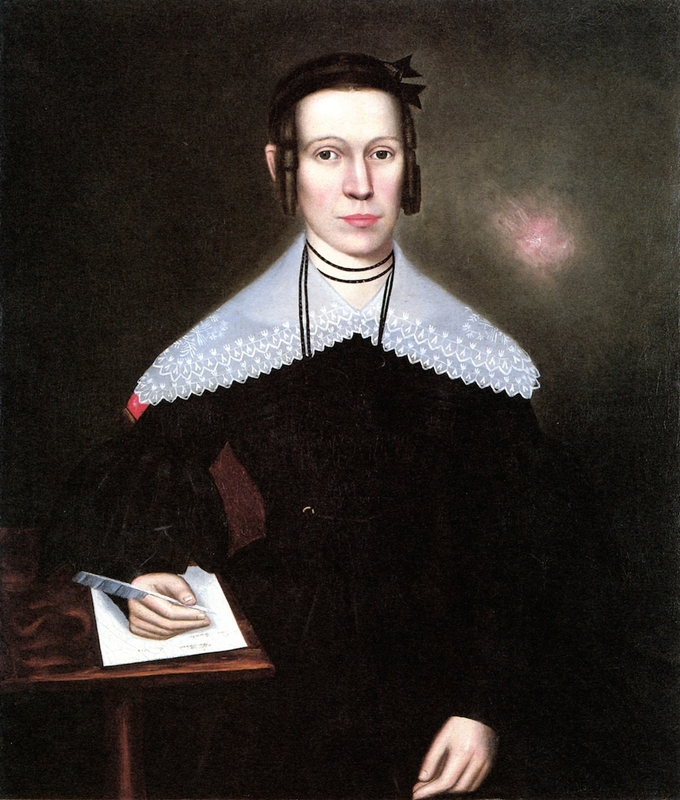 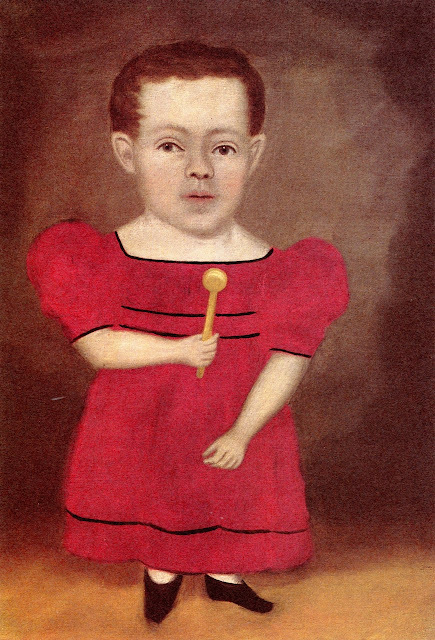 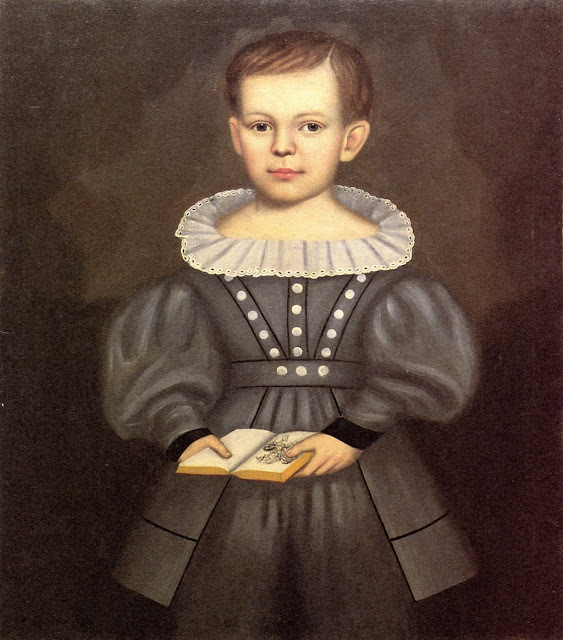 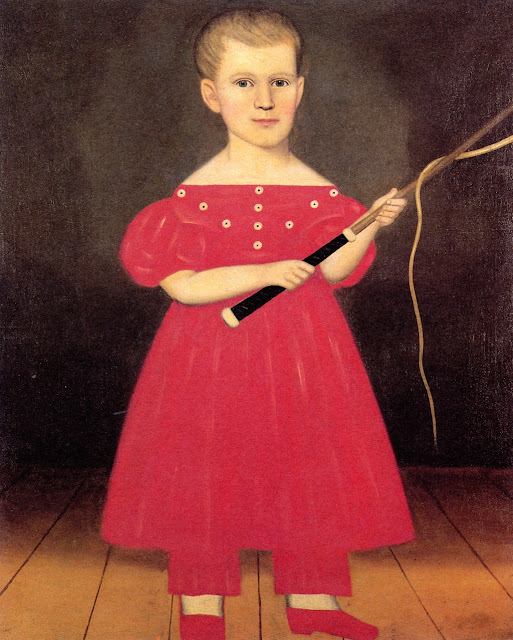 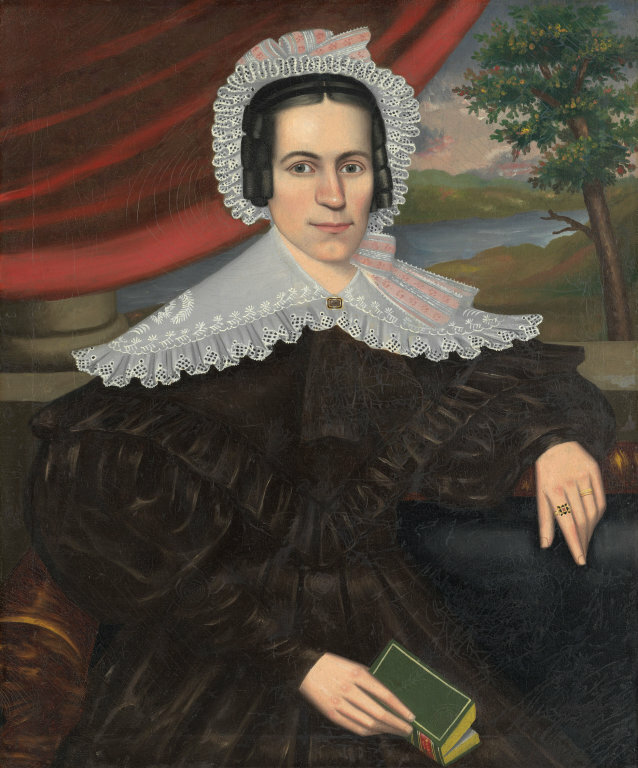 Always resourceful, however, Field took advantage of the camera, using it to make photographs of his sitters, which he would later copy on canvas. 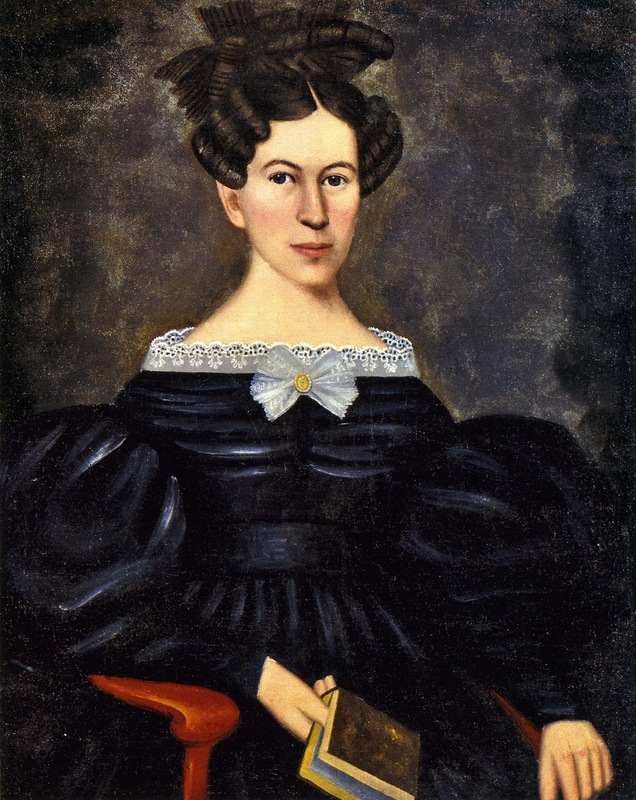 Between 1852 and his wife's death in 1859, Field moved frequently between Sunderland, Palmer, and North Amherst, Massachusetts. 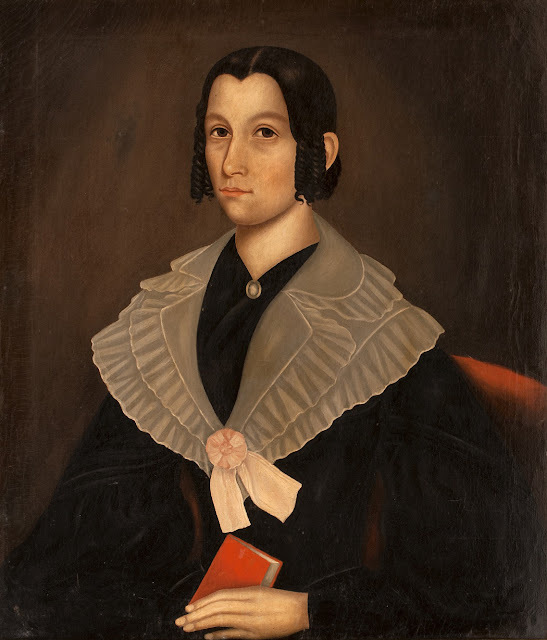 When Phebe Field died, the artist and his daughter moved to Plumtrees, a settlement now in Sunderland that was occupied by the Cooley and Hubbard families, whom Field had known since childhood. 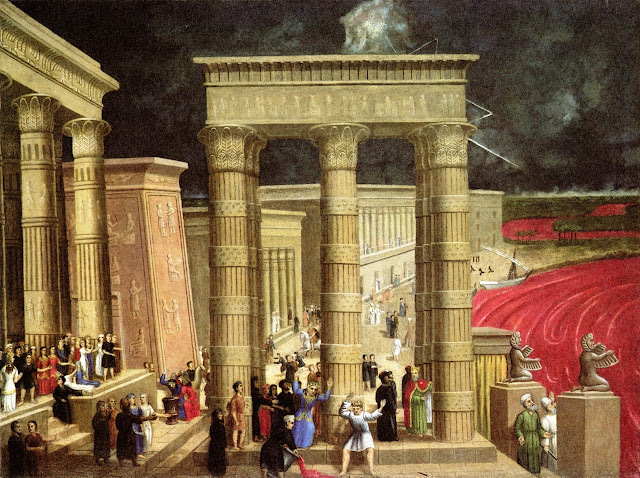 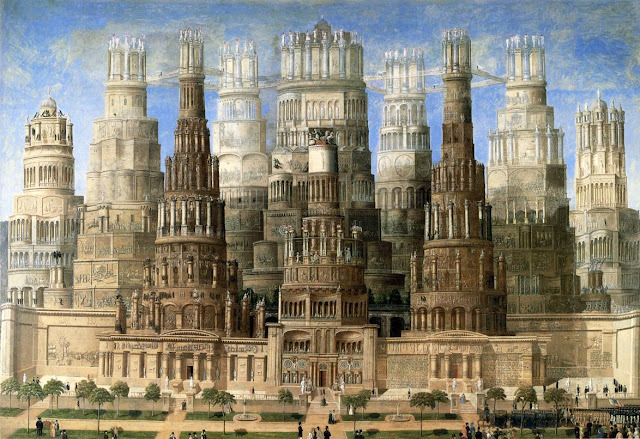 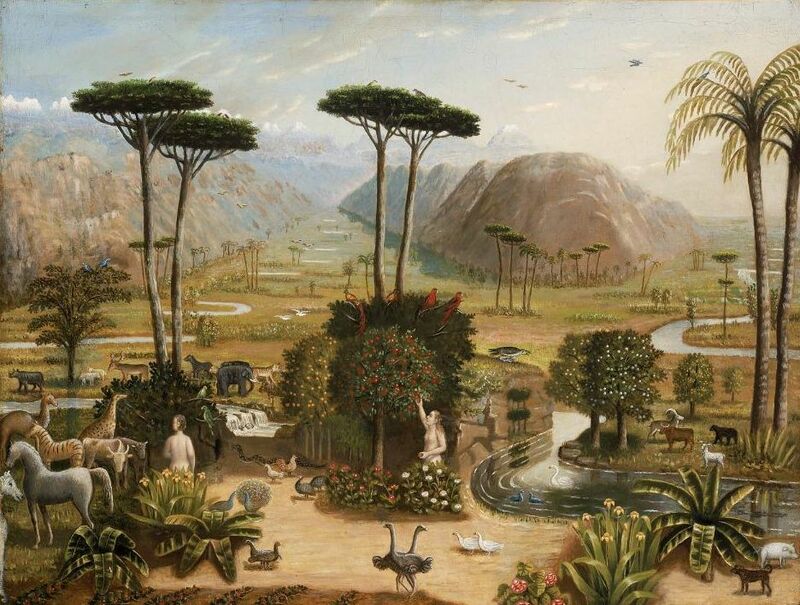 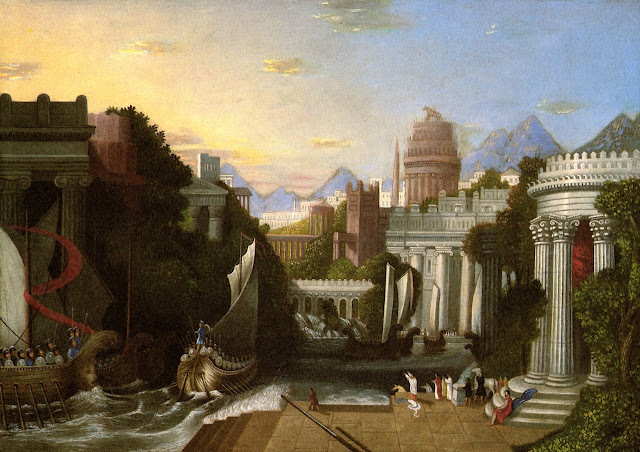 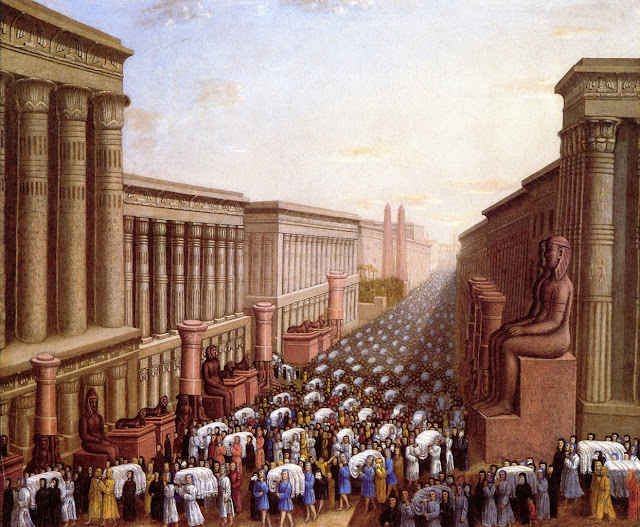 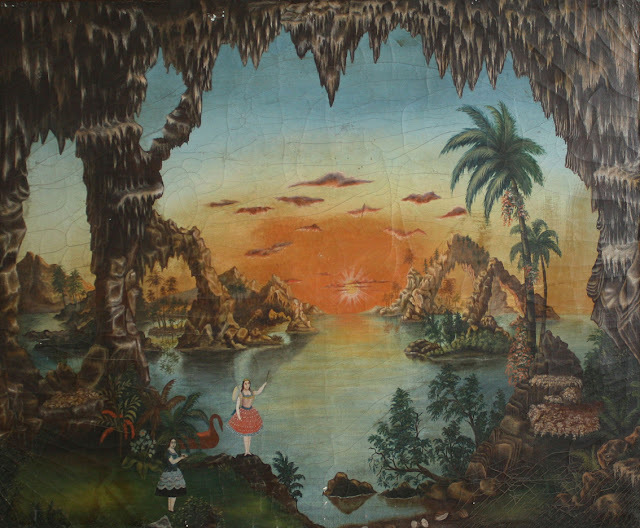 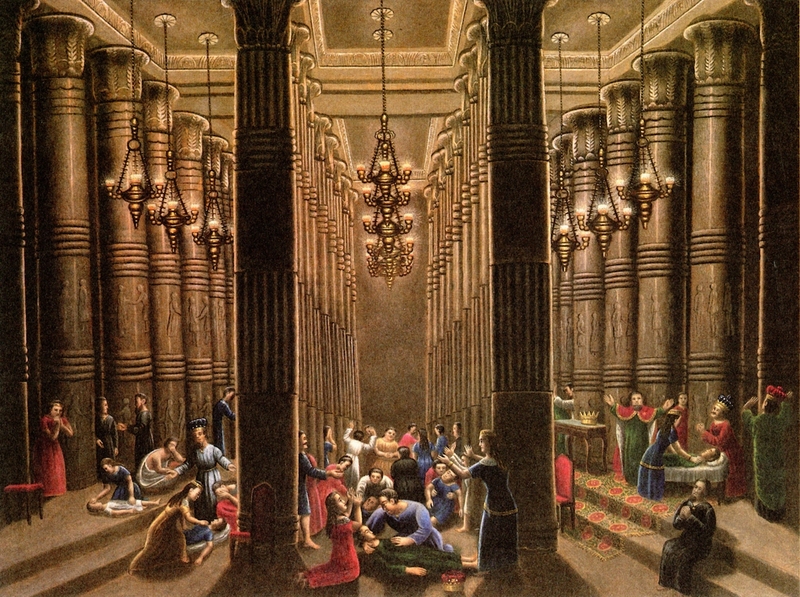 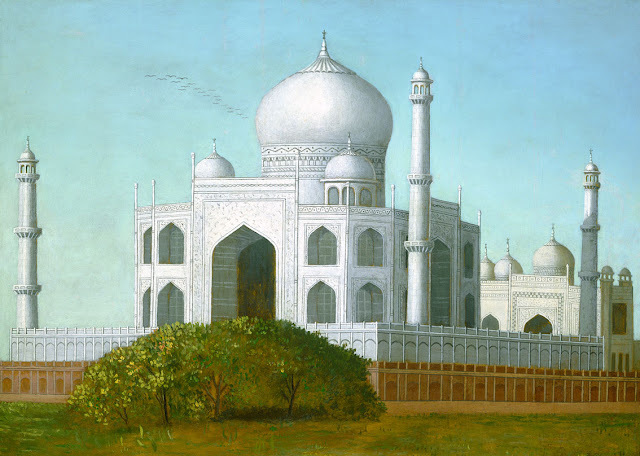 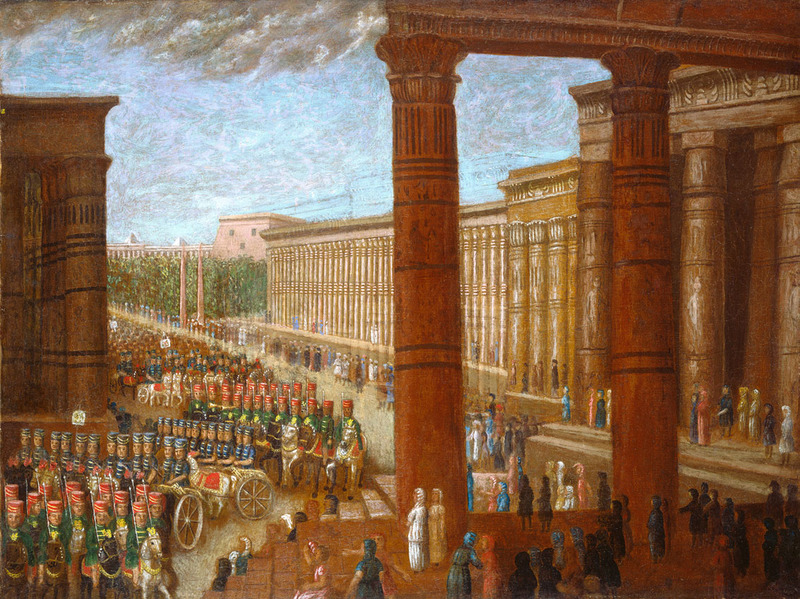 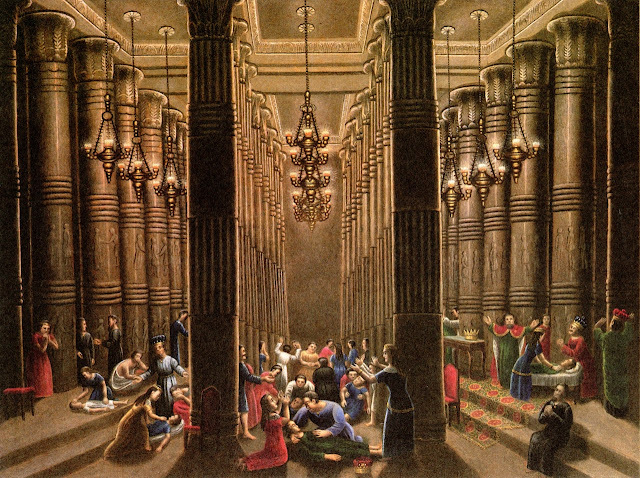 Field, who would spend the rest of his life there, built a modest studio and painted some elaborate compositions of exotic landscapes and biblical scenes, relying on his imagination as well as on printed illustrations by artists such as John Martin. 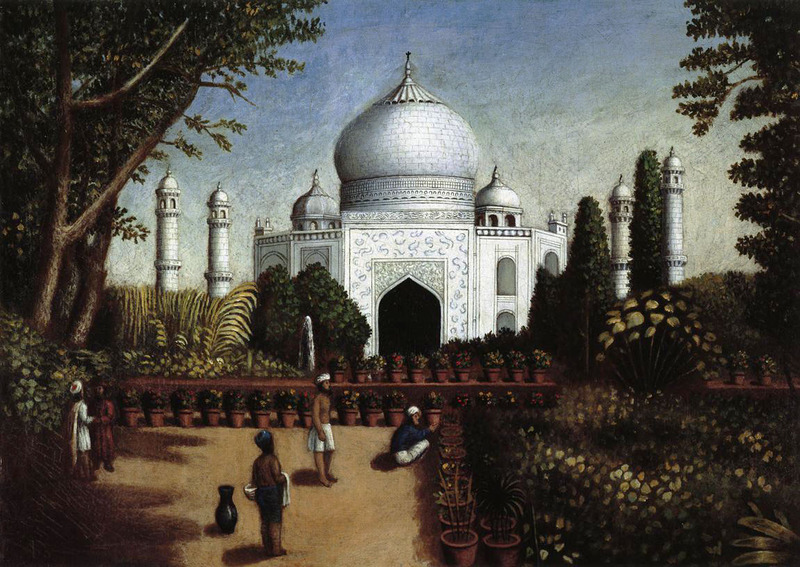 Field died at Plumtrees in 1900, leaving a legacy of over three hundred paintings attributed to his hand. Just before his death a newspaper article praised his portraits, saying that they were "as nearly correct as can well be made in oil, and give to posterity faithful ideas of the personal appearance of their ancestors." 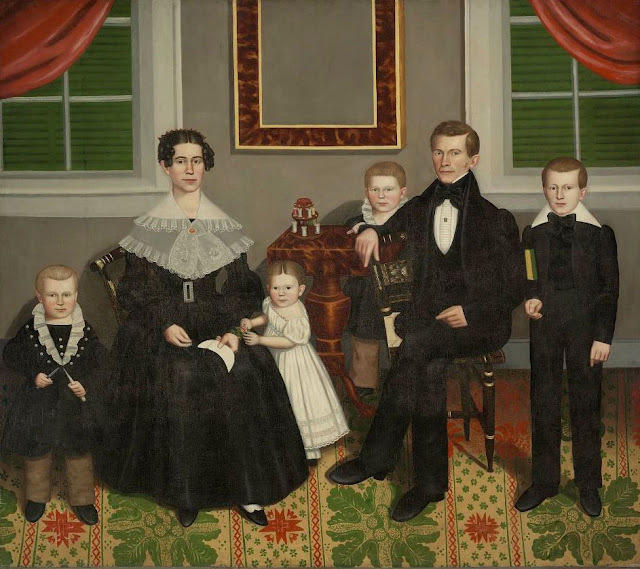 Field's career exemplified that of the enterprising itinerant who created distinctive, quickly executed yet insightful likenesses to meet the growing demands of America's middle-class patrons. 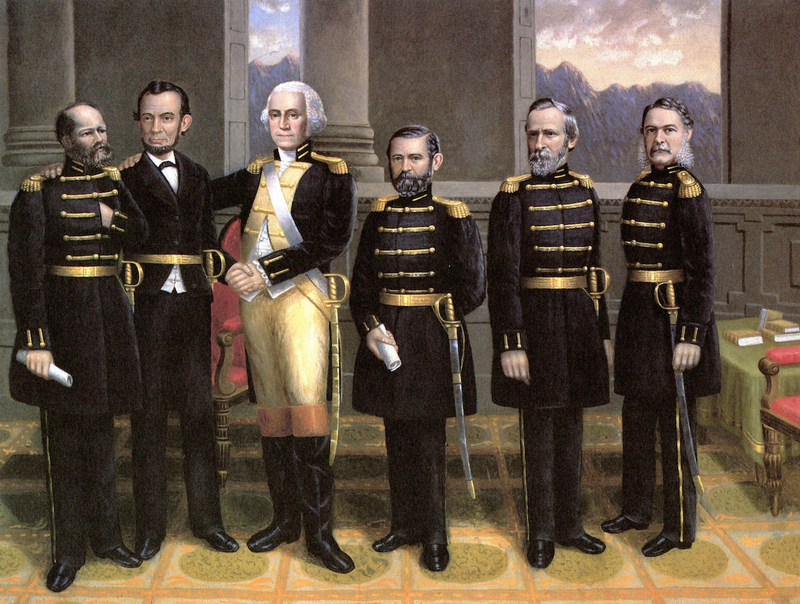 1865-80c "He Turned Their Waters into Blood"